Matt Cutts discussed guest posting and its influence on links on Google’s Webmaster Help video released last month. Now he appears in a new video answering a related question. 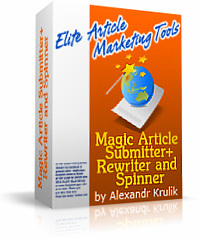 Many webmasters are using guest blogging to acquire links. With so many turning to article spinning and other similar activities, will Google penalize those sites that use guest blogging to accumulate links? Cutts admitted that the first video seemed to indicate that guest blogging was beneficial as long as the webmaster hired a skilled blogger. He was quick to point out that this is different and he wanted to address this issue specifically. If webmasters are relying on a large number of guest blogs and churning out spun articles where the content is not original, the overall quality of the site suffers as a result and Google will notice. He points out that the site’s reputation is affected if Google determines the links embedded on it are spammy or of low quality. Google will react to low quality blog posts or spammy blogging, otherwise called guest blogging. The result is low quality content on the site, something that Google definitely frowns on when evaluating a site’s reputation. He cautions against relying on guest blogs as a source of primary link acquisition. He adds that letting anyone post articles without regard to quality content will attract the types of link that will likely affect the site’s reputation. This is something that webmasters should consider if they are thinking about using this strategy to obtain content.